It is in the early nineties when Rebecca Lolosoli is half beaten to death by her neighbors for insubordination. Still her husband refuses to help her and so she leaves him despite all of her fears. She joins other women who share a similar fate: beaten or raped, fleeing genital mutilation or forced marriages. Together the women found Umoja, Africa's first women's village. By the fall of 2009, 48 women and their children are living in Umoja. They assume rights and tasks normally solely owned by men in a patriarchal society. It is no wonder hostility and attacks on the village are inevitable. The women finally pull a fence of thorns around their territory - so the cattle are inside and the men outside. 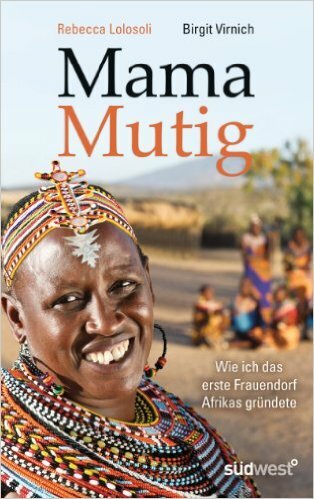 In their book, the village founder Rebecca Lolosoli and the well-known TV journalist Birgit Virnich both tell the story of Rebecca and Umoja. They document the struggle these courageous women have for independence, recognition and freedom in a more than misogynistic environment.